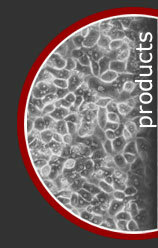 ZenBio can provide many different Human blood components to meet your research needs. We have the abilility to collect and process per your specifications or by standard collection methods. Some of our standard products are shown below. If you do not see the specific item that you need listed here, please contact us. We will work with you to provide the materials that fit your research specifications and budget. Don't see what you're looking for? Need a particular diseased state blood product? ZenBio provides custom procurement for many disease states as one-time collections - Contact us today! The Effects of P320Sc Mutation in West Nile Non-structural Protein 1 (NS1) and the Generation of Aptamers to Detect Dengue NS1 in the Context of Infection. B. Rivers Ph.D., Gillian Acca B.S., Marc Fink M.S., Rebecca Brogan Ph.D., Dorothy Chen B.S., Andrew Schoeffield Ph.D.
David B. Rivers Ph.D., Andrew McGregor M.S. J Clin Invest. 2016. doi:10.1172/JCI85413.